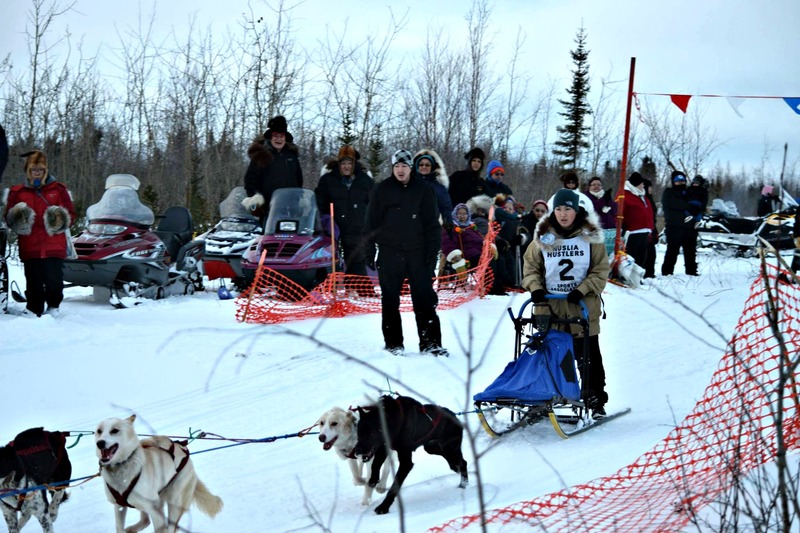 For the first time ever, Huslia is a checkpoint for the Iditarod. It’s the official half-way point. 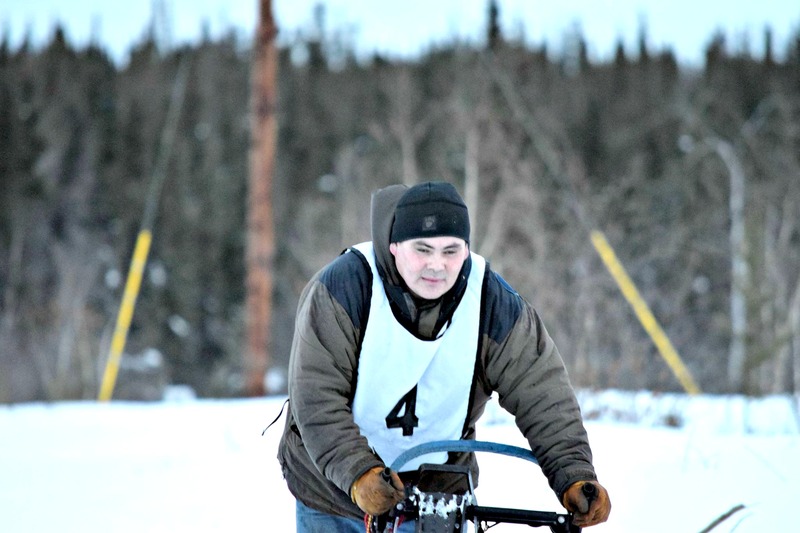 Mushers began arriving in Huslia on Thursday evening. Huslia is my hometown. Unfortunately, I can’t be there for the momentous occasion, but I have been enjoying the updates from relatives and friends. 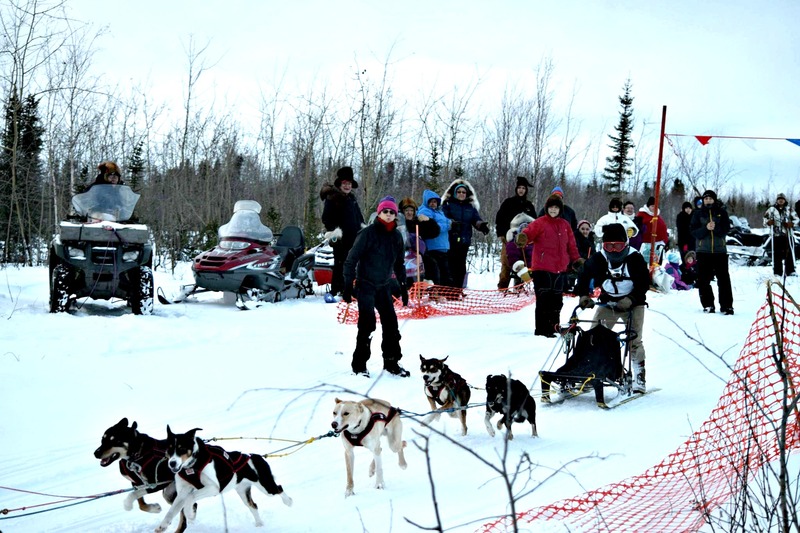 Dog mushing fans of all ages waited and greeted dog mushers late Thursday. Al Yatlin, Sr. said, “Everyone is so impressed about coming to Huslia. Warner Vent has been greeting all the mushers. They all know who he is.” Warner Vent, Sr. raced in the Iditarod three times in the early 1970s. 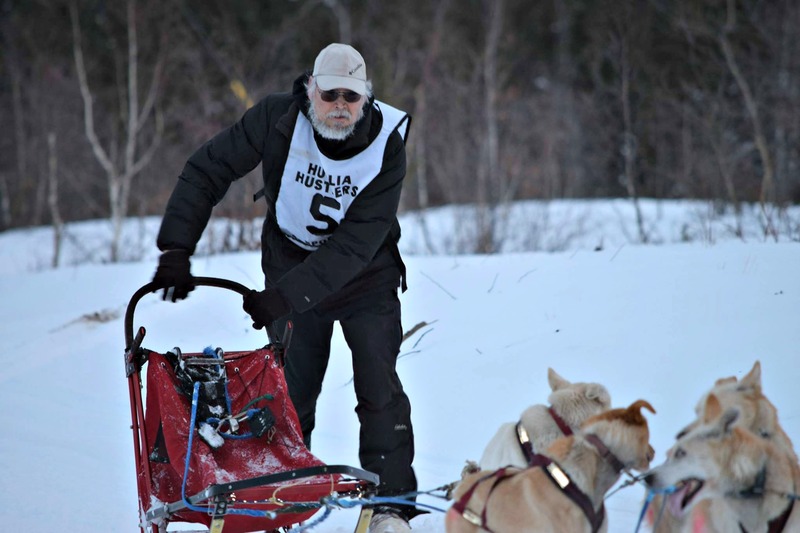 Huslia has a storied history of dog mushing with many mushers, like late Bobby Vent, George Attla, Jr. and more. People still mush dogs today. 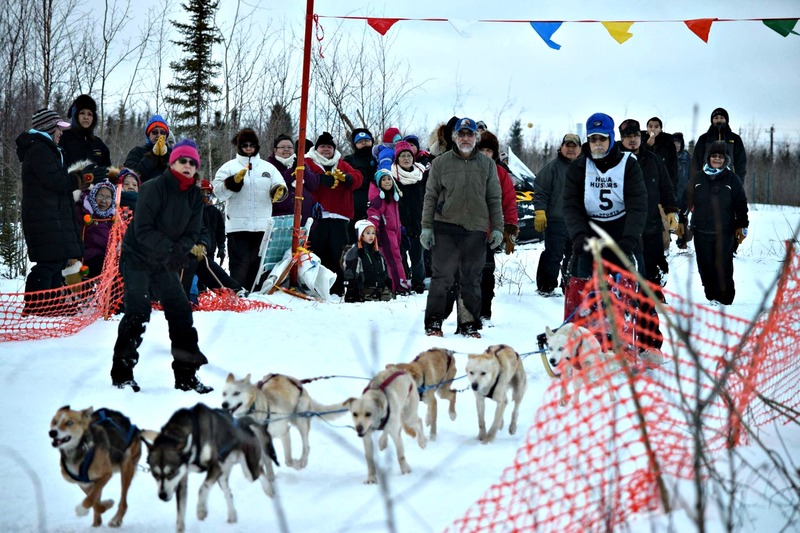 Many teams from around Alaska started out with dogs from Huslia and other interior villages. 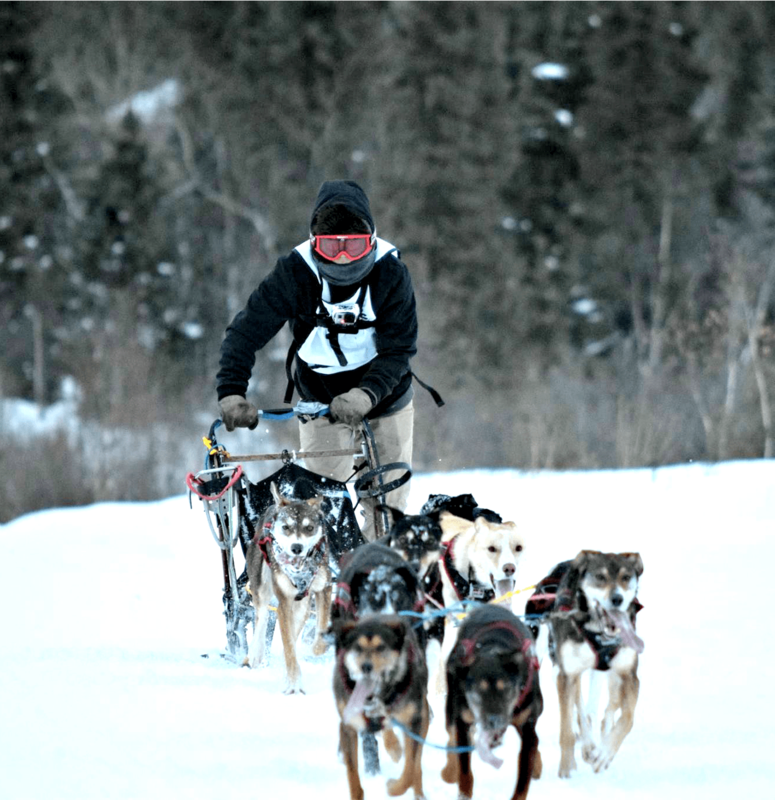 Many of the Iditarod dog mushers know many of the local mushers from rural Alaska, or they heard stories of them. Aaron Burmeister was the GCI Dorothy G. Page halfway prize winner and received a trophy and $3,000 in gold from GCI. 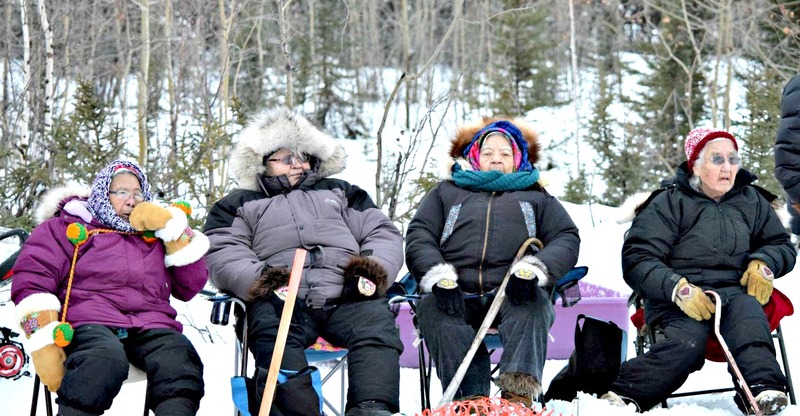 Huslia also presented him with gifts, including beaver mitts made by Eleanor Sam, Elsie Vent and Cesa Agnes and a marten hat made by Alberta Vent. Fred Bifelt and Alberta Vent donated the marten hat. Joe and Margie Ambrose donated a beaded cross. A fur ruff was also donated. Upon meeting Aaron Burmeister, Al Yatlin, Sr. (my dad) said, “I knew him when he was a kid. 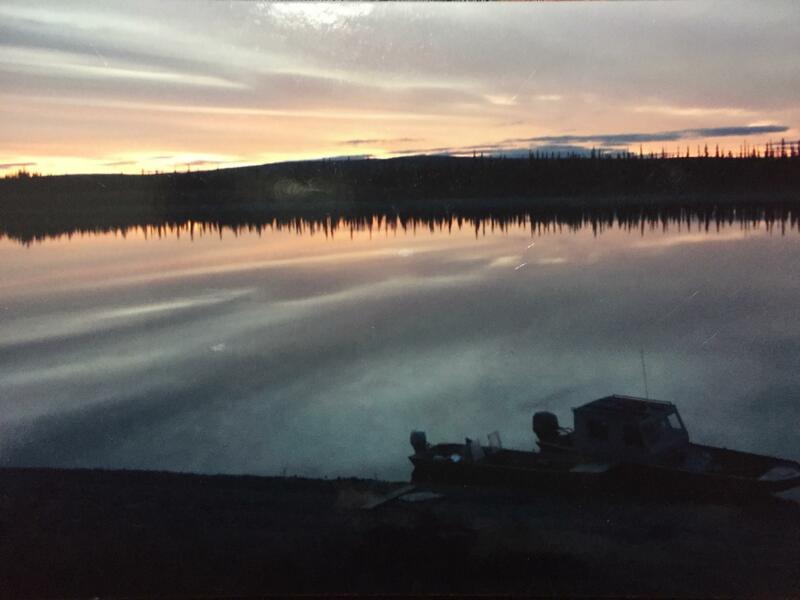 He said I sold him a dog then and that’s where some of his current dogs come from.” My mom, Eleanor Yatlin, said “When we lived in Nome Al raced against Aaron’s dad, Richard.” Like many Alaskans, my parents are huge fans of the Iditarod and other dog races throughout Alaska. “I’m so proud of our family and friends in Huslia. 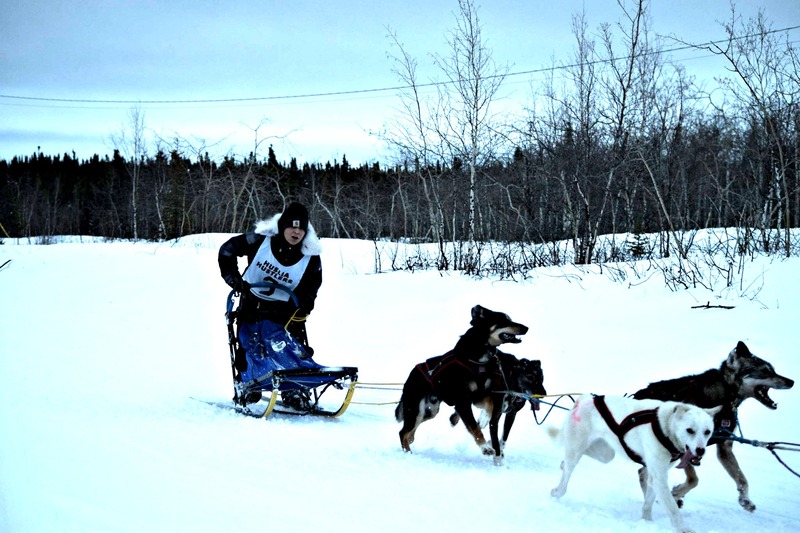 I am really proud of the early days of the Iditarod, the beginning. I know it takes a special person to do this today, such strength and courage and money!!!! Back then, every person in the village was involved. They took mushers in. Everyone helped cut up meat and fish and make dog pot fire. We had to share our dog hay, food. We had pots of moose soup going for a week. Such a special time this was. It was a village effort. Update on March 23: Huslia received the Golden Clipboard Award. The Golden Clipboard Award is presented by the mushers since 2001 to a special checkpoint and it is voted on by the mushers. What an honor! 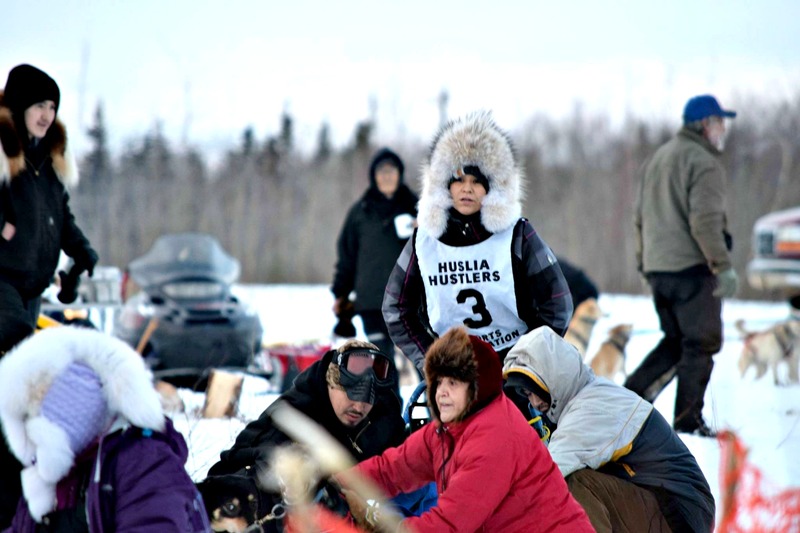 Al Yatlin, Jr. said, “They gave them one big Huslia, Alaska welcome.” Huslia welcomed other dog mushers. 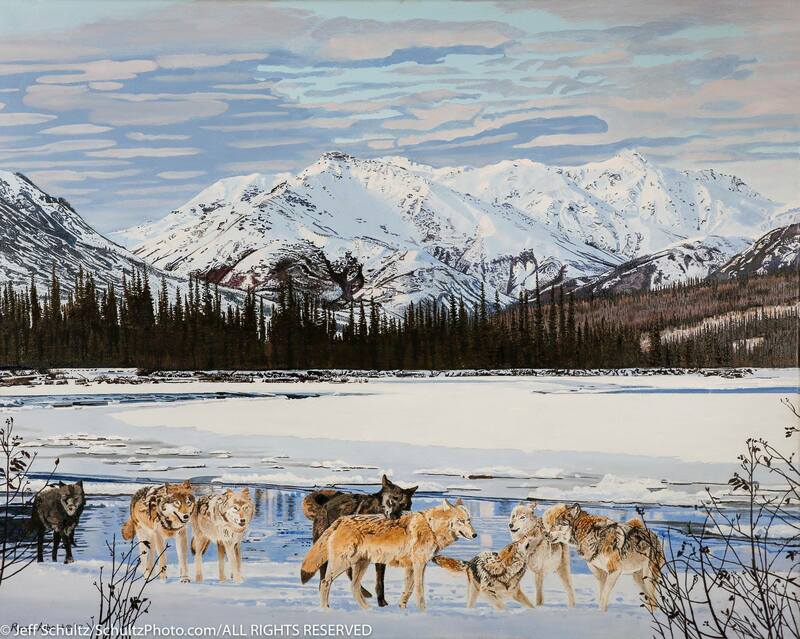 For current race standings, visit the Iditarod website. 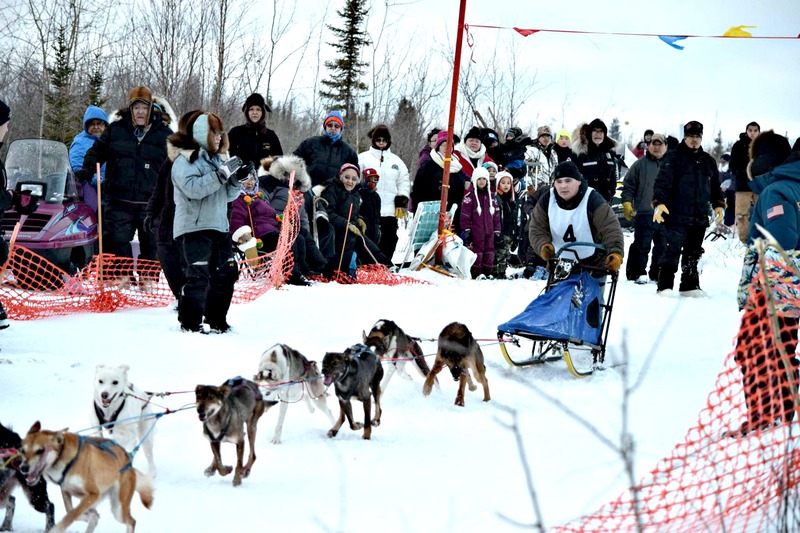 Alaskans were pretty excited to have the Iditarod go to Huslia for the first time ever. Huslia has always been a dog mushing community and it couldn’t be more fitting as an Iditarod checkpoint. 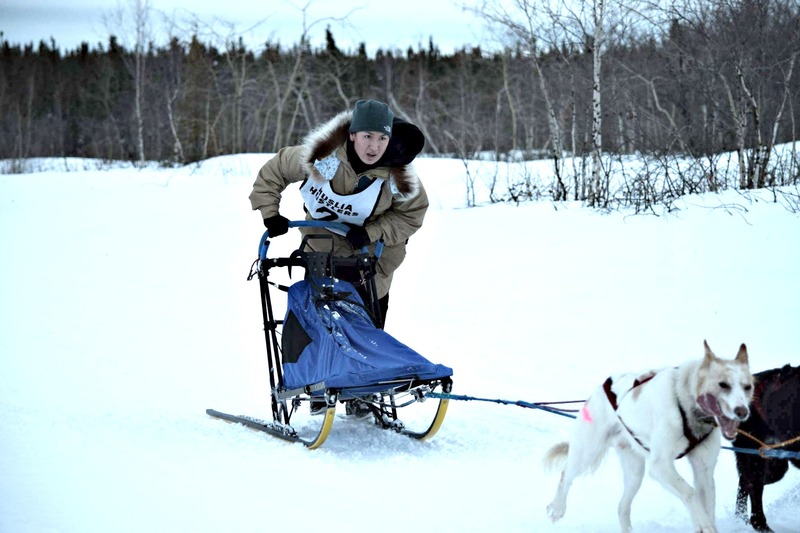 Huslia has a long standing tradition of holding dog races, snowshoe races and other competitions around Christmas and New Year’s Day. Here are some photos courtesy of Dolly Simon-Dayton and race results courtesy of Jo Derendoff. PJ Simon and Doug Bergman of Allakaket made their national television debut on Animal Planet’s American River Renegades on May 26. PJ Simon of Allakaket is starring in one of Animal Planet’s newest reality TV shows, American River Renegades. At least six episodes will air this summer. They’ll decide whether or not they want to continue after they see how this initial run goes. 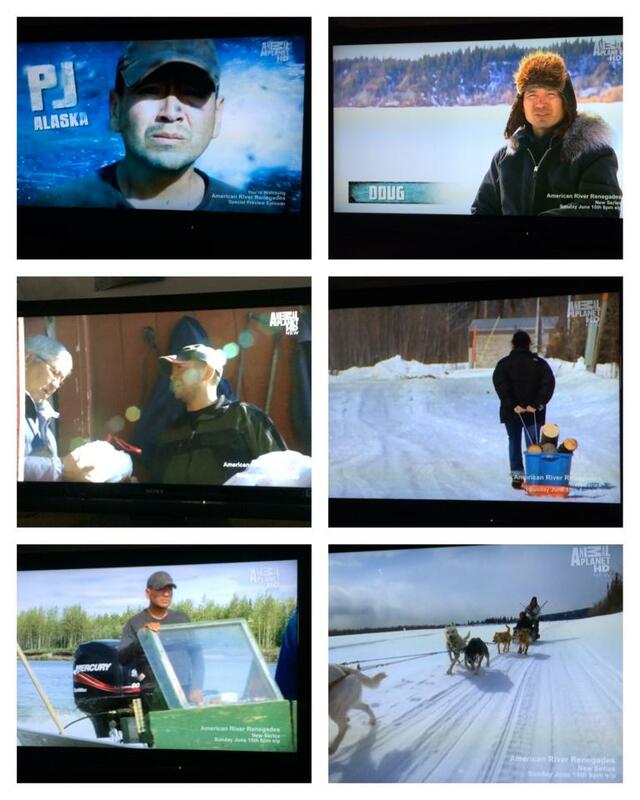 PJ is the only Alaskan ‘Renegade’ on the show. There are three other ‘Renegades’ from the Lower 48. PJ and I are cousins. The premiere episode will air on June 15 on Animal Planet. Check your local listings. The cost of fuel is expensive in rural Alaska. 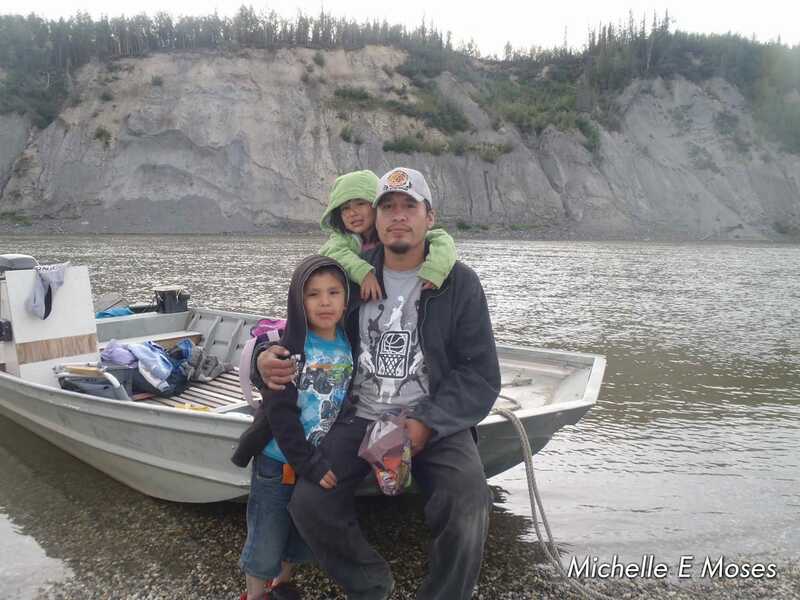 According to PJ, they have to prioritize their time and efforts to go seining, moose hunting and caribou hunting. He wants to clarify they are not starving. PJ has many accomplishments in his life, and has been keeping himself busy lately. 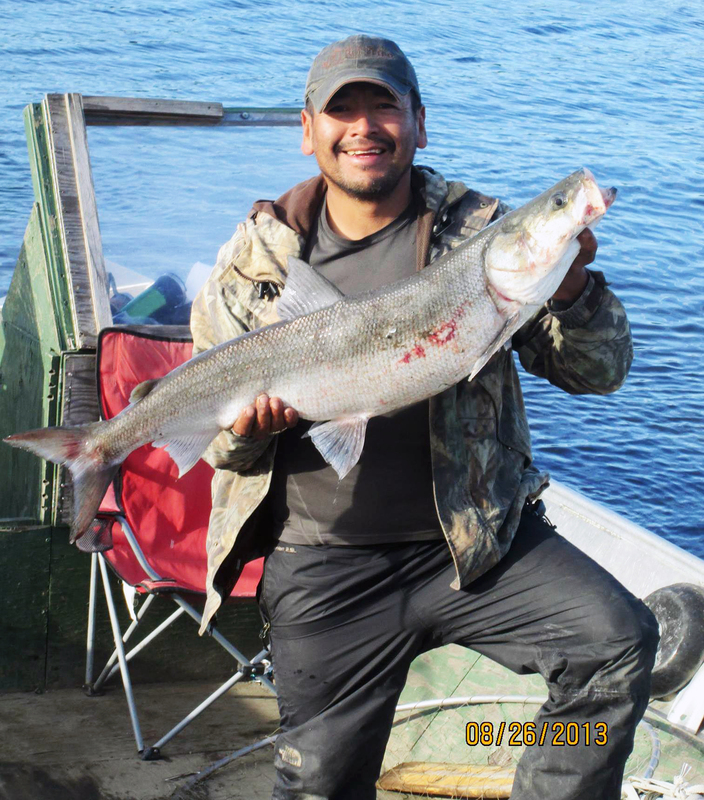 PJ is the second Chief of Allakaket, and serves on the Tanana Chiefs Conference executive board, and Doyon, Limited board. He also participates on a focus group on sanitation and running water for the Department of Environmental Conservation. PJ is a former plumber. He went from a generous salary of a plumber to making a lot less to return home to be a political advocate for this community. He is a recreational gold miner among other things. PJ is often called upon to broadcast sporting events. PJ is passionate about giving back to his people. 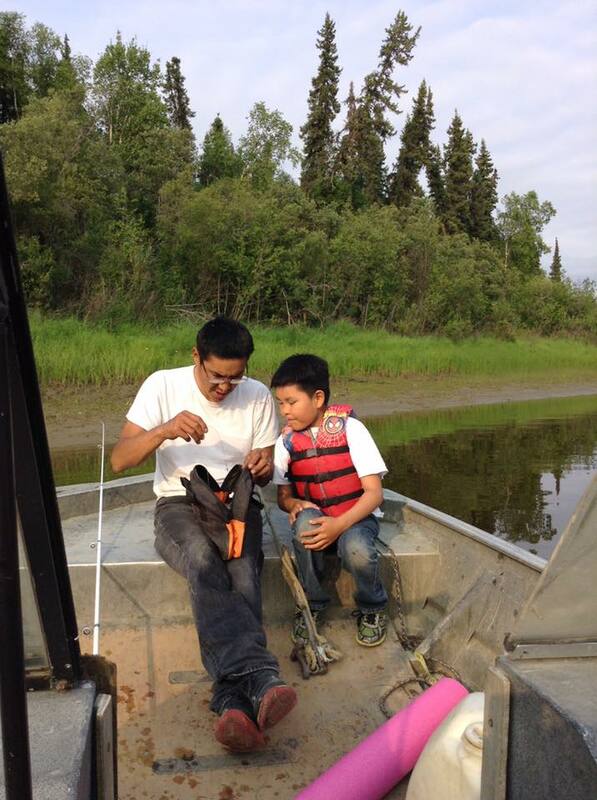 He grew up on the Koyukuk River and he says, “The village raised me up.” PJ serves in those leadership capacities so he can fight for a positive environment for tribal members, better education, running water and sewer, prevention of domestic violence and sexual assault, safety in the villages and for controlling alcohol and drugs. It’s a tall order, but he wants to stand up for villagers and won’t give up. PJ asserts a lot of people are affected by domestic violence and sexual abuse. He stresses the importance of openly talking about these issues and finding way to prevent them. PJ also says, “It’s our job as leaders to provide employment and some kind of security so they can take care of themselves.” PJ encourages young people by telling them that it is never too late to better themselves and to find gainful employment. Villagers are connected to the land and resources. 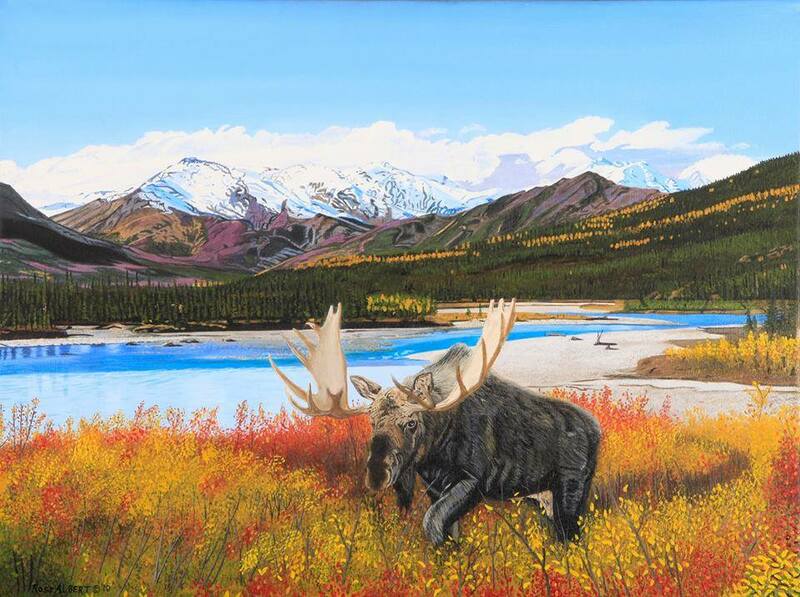 According to PJ, Alaska’s fish and game resources are exploited. He says, “Our resources are running low. 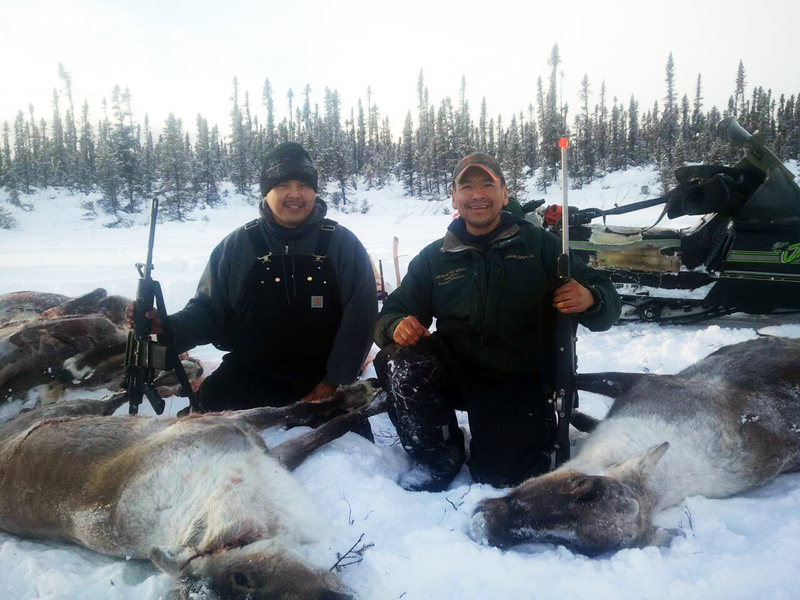 Game is getting scarce, including moose, caribou and fish.” PJ is an avid hunter and fisherman and provides for his extended family in Allakaket. 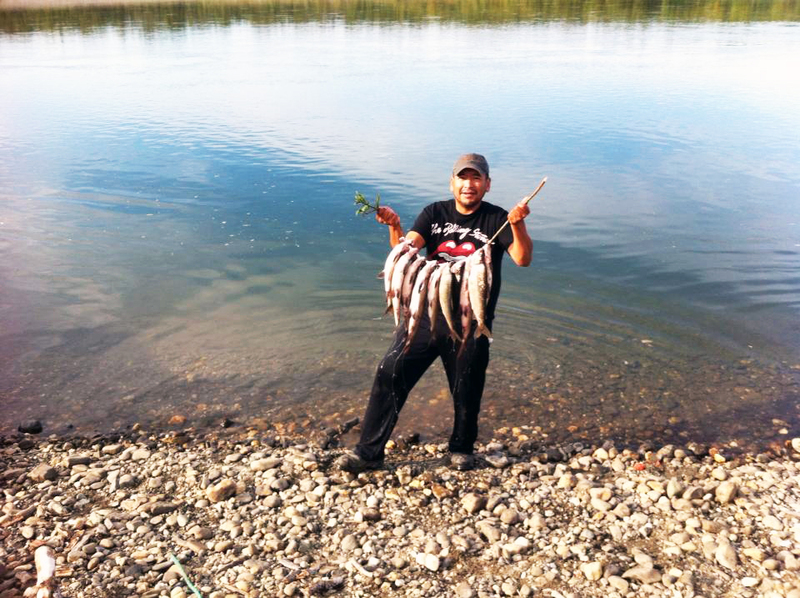 He advocates for conservation of fish and game. 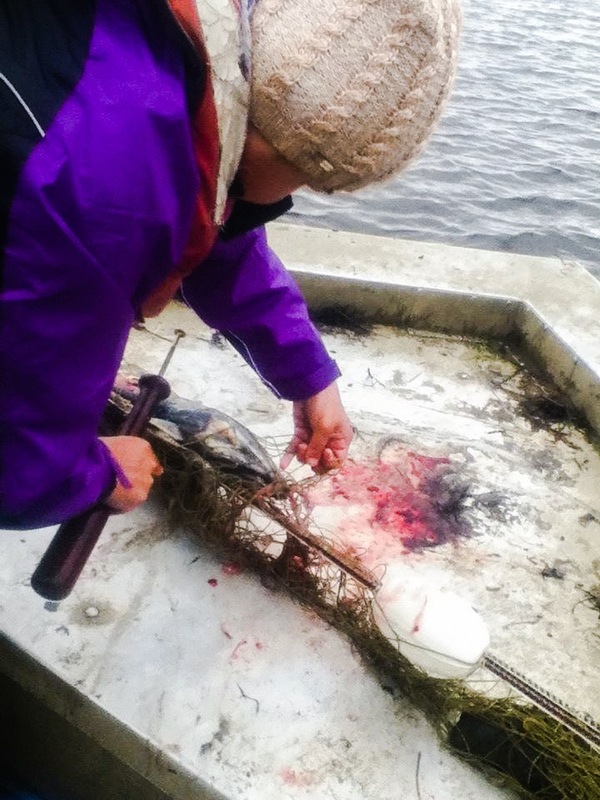 In upcoming episodes of American River Renegades, you’ll see him dipnetting at Chitina and getting there by four-wheeler. 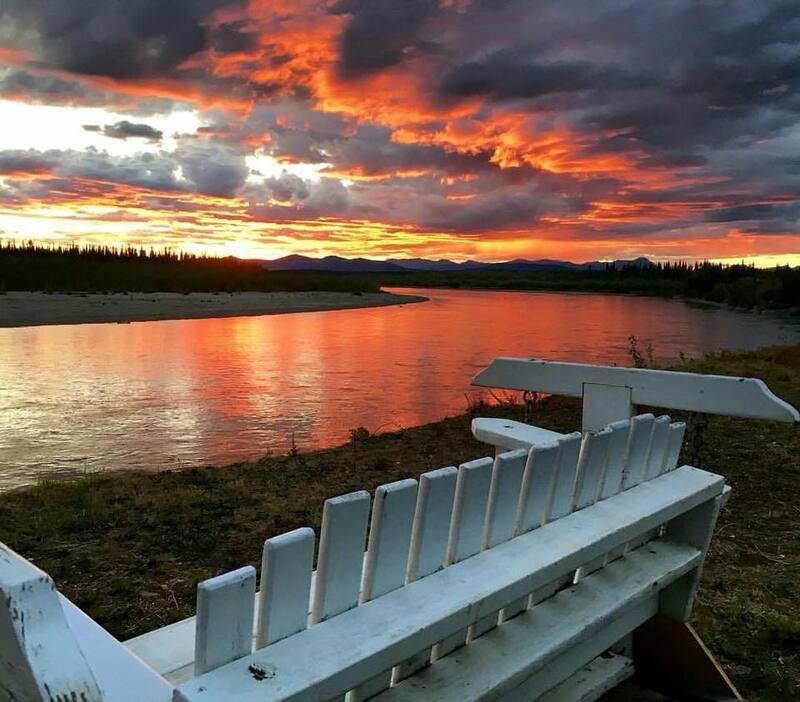 🙂 You’ll see him using a traditional fish trap to catch white fish on the Koyukuk River. You’ll also see him building a log firewood raft. 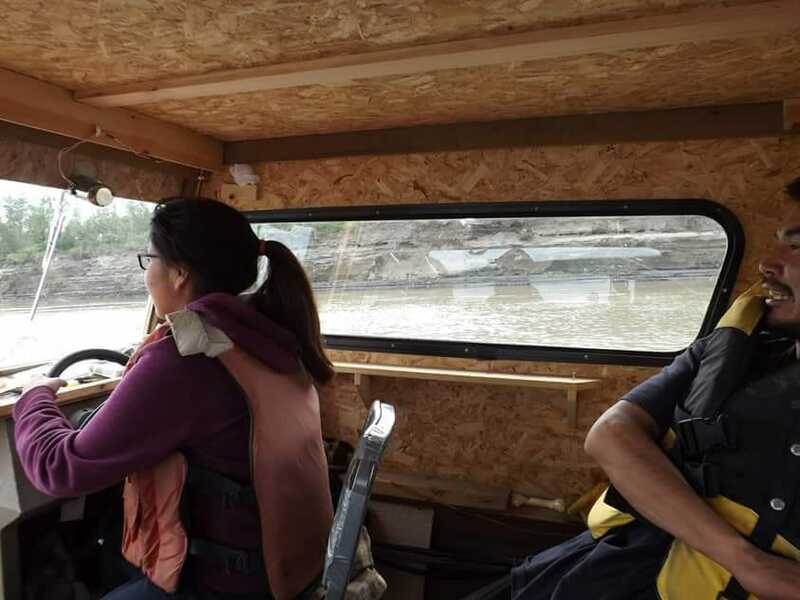 They also went half way to Henshaw by boat last fall during the fall hunting season. 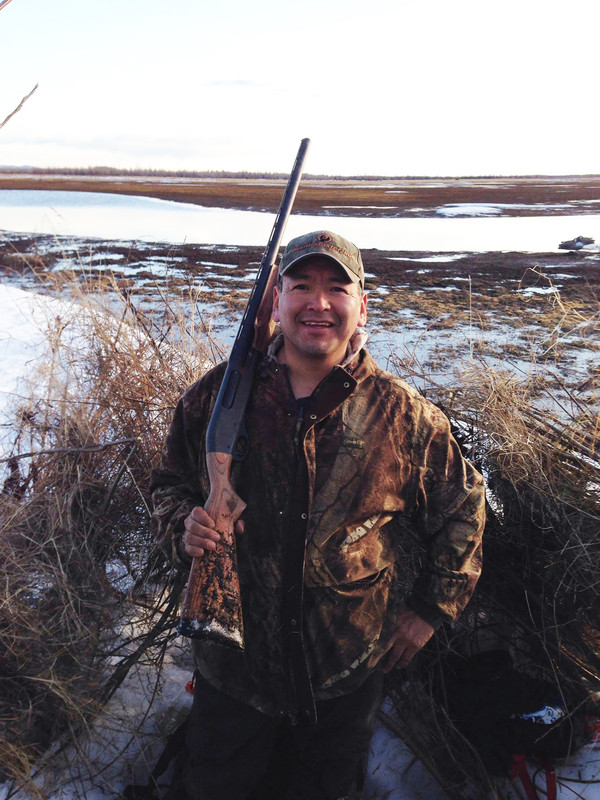 You may also see his adventure of going out water fowl hunting by dog team. PJ is known for his great sense of humor and I’m sure that will come through on the show. 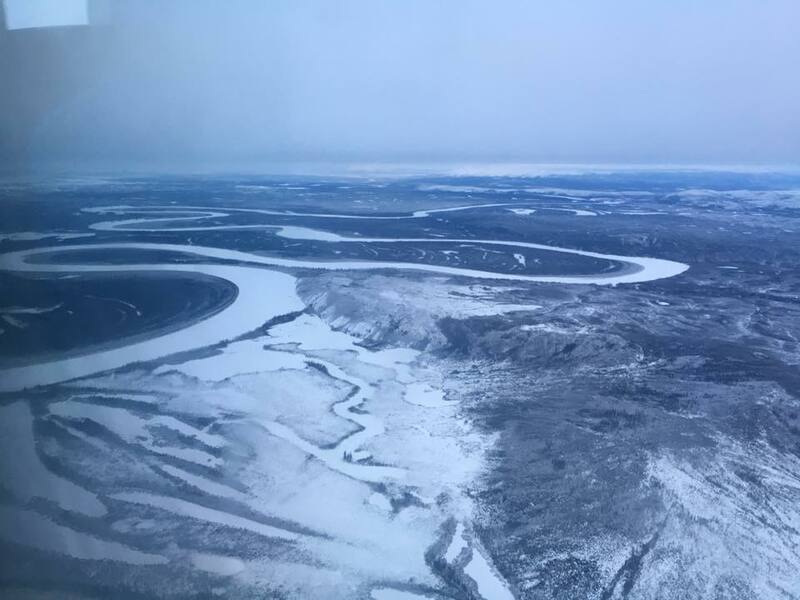 I’m looking forward to watching the episodes and seeing people of the Koyukuk River and their lifestyle featured in the show. Who knows what the future holds, but I’m glad to see PJ and others from the interior show a part of how I grew up. I’m glad young people have a positive role model like PJ to look up to. 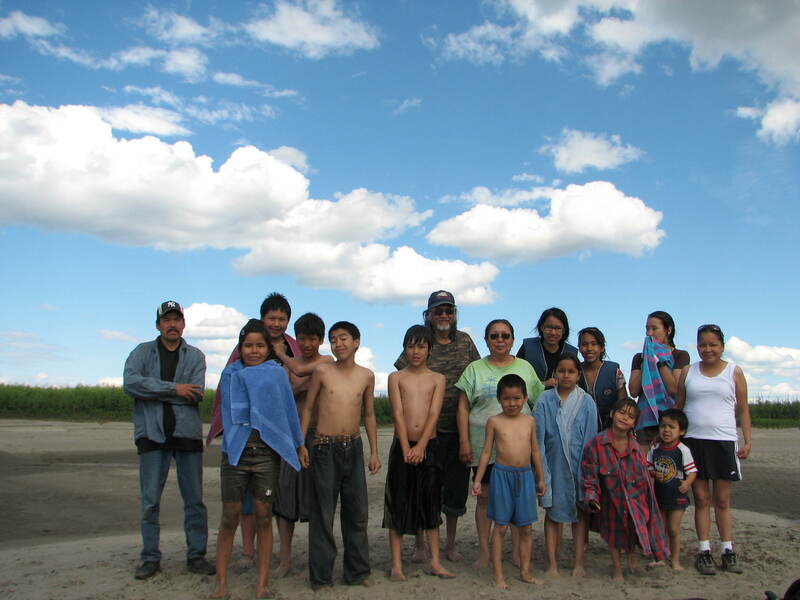 Thank you PJ for sharing the lifestyle of Koyukuk River people and for fighting to protect that way of life.